Microbeads are set to be banned under a new government-backed bill approved by the Cabinet this week. The Times reported this morning that the Bill will be brought forward by the Minister for Housing, Eoghan Murphy, TD and will look to restrict the manufacture, import, export or sale of certain products containing microbeads. In November 2016, then Minister for Housing Simon Coveney wrote to the European Commission about the Government’s plans to introduce legislation banning microbeads by the end of 2017. Microbeads are tiny pieces of plastic found by the hundreds of thousands in shower gels, face-scrubs and toothpastes. They do not biodegrade and persist for a very long time in the environment, with a half-live of hundreds of years. They often end up in our waterways, seas and oceans. It is estimated that four billion plastic microfibers per square kilometre litter the deep sea. However, they are just one form of microplastics, small plastic fragments that originate from the likes of fibres from clothing and fragments from the construction industry and plastic bottle recycling facilities. According to Dr Anne Marie Mahon, who has carried out research on microplastic pollution in Ireland’s freshwater system, a ban on cosmetic microbeads would only solve a fraction of the microplastics problem. 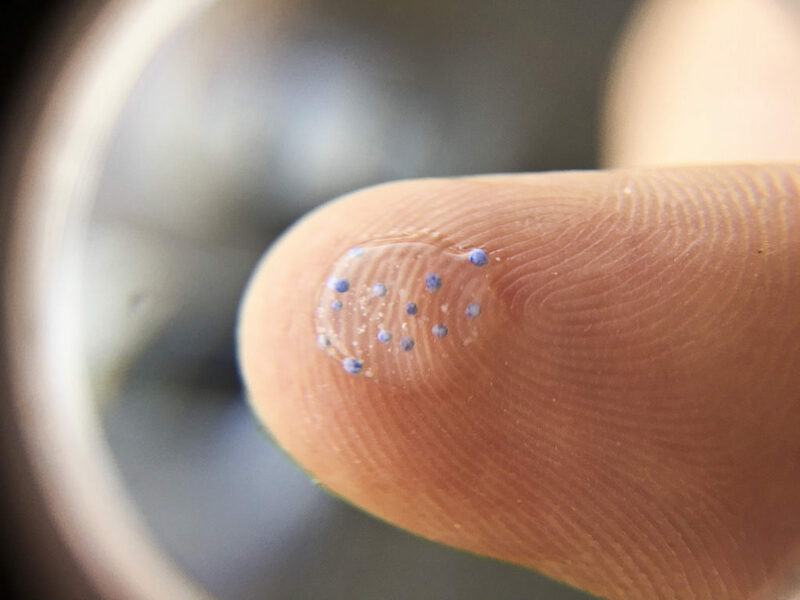 Speaking before a Dail Committee earlier this year, she said that microbeads make up only two to three per cent of microplastic found in the environment. “What have we been finding in the environment? We have not been finding a lot of microbeads. We are mostly finding fibres. We are finding fragments,” she said. In the past number of years, the Government voted down Bills introduced by both Labour and the Green Party that looked to ban microbeads. The Bill from Green Party Senator Grace O’Sullivan also looked to monitor all microplastics in Irish water systems. Speaking today, Ms O’Sullivan said: “The Government have taken their time to make progress on this issue, but we’re glad they’re finally acting, and have approved legislation to enforce a ban on harmful microbeads. Sinn Féin MEP Liadh Ní Riada welcomed the news that Ireland is set to go ahead and ban plastic microbeads rather than waiting on the “llong-delayed EU Directive on the issue. The Ireland South MEP, who sits on the EU Fisheries Committee, said that, while she would have to see what exactly is in the Bill before giving it full support, it is a “positive step” toward banning the “harmful pollutants”. “Microbeads are an ecological ticking time bomb. Earlier this year a study by NUI Galway revealed just how pervasive the problem is, with 73 per cent of deepwater fish they studied having microbeads or microplastics in their bodies,” she added. According to the study, the ingestion of microplastics by these animals may cause internal physical damage, inflammation of the intestines, reduced feeding and other effects. Yesterday, the European Parliament’s environment committee voted in favour of a ban on microplastics in cosmetics, personal care products and cleaning items by 2020. The Committee also called for minimum requirements for Member States to tackle other sources of microplastics, as well as measures to ensure that taxes on plastics go toward projects to prevent the generation of plastic waste.